Offer Subject to Inspection. 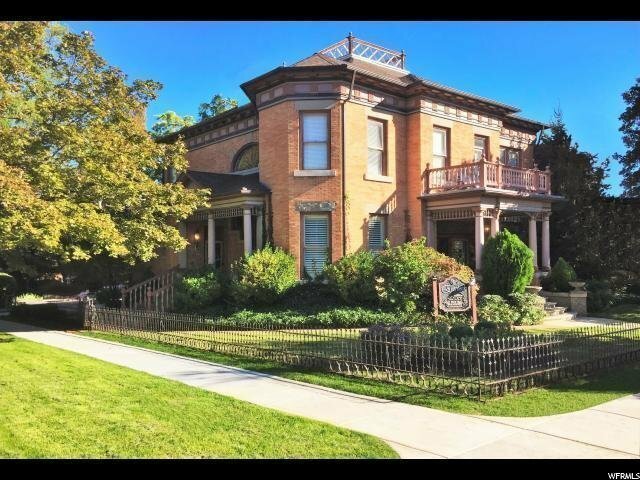 This Historic Ellerbeck Mansion is located on a large corner lot in the Avenues. It is professionally decorated and is currently being operated as a Bed and Breakfast Inn, all furnishing, fixtures, and equipment are included. There is 2 bedrooms, 1 bath and a full kitchen in the basement. Also just outside your front door includes two beautiful outbuildings: The Carriage House 20x30 foot two story building which includes full audio/video facilities with video projector, surround sound stereo, microwave, refrigerator, wifi, which can be rented out for weddings or family gatherings, there is an office upstairs. Also a very attractive hand built 10 x12 foot shed with double doors provides lots of storage room. It is walking distance to downtown, temple square or city creek center. What a great investment opportunity.